"How would you describe your photographic style?" My style can best be described as fine-art, photojournalism. I tend to be very relaxed during my shoots. This allows me to capture my client's truest emotions without making them feel nervous in-front of my camera. "Will you have another photographer or assistant working with you on our wedding day?" I will almost always have an assistant with me throughout the day. Christian [pictured below], also serves as my second shooter. He helps me lug all of my equipment & pretty much serves as my gear expert, extra pair of hands & all around best buddy throughout the day! "Do you carry backup gear?" My equipment is fully insured & I always carry duplicate gear. [camera bodies, flashes, batteries, etc.] I shoot with two professional Canon DSLR's and I own a number of top rated lenses to provide me with photographic coverage from almost every perspective imaginable. "Will you travel to my wedding destination?" I love, love, LOVE to travel! My team & I would be honored to photograph your wedding, wherever it may be [& trust me, the expense may not be as much as you'd think!]. I have been blessed to be able to travel the world with my camera in hand & your wedding day would allow me another opportunity to do so. Send me a message through my CONTACT page so we can start the conversation about getting our crew to your wedding destination, wherever it may be! Click HERE to view my current travel dates to see if I'm going to be in your area! "How far in advance do you book weddings, and how do I check your availability for my date?" I typically book 3 months to 1 whole year out, but of course, if your wedding day happens to fall sooner than my request, the best thing to do is to contact me as soon as you start planning your big day so that I don't miss out on having you as a client! Drop me a line through my CONTACT page & I'll get right back to you! "Do you photograph members of the LBGTQ community?" Absolutely! Love is love! "What is an engagement shoot like?" An engagement shoot is pretty much a portrait session for the two of you. I tend to shoot relaxed portraits with casual poses. I spend more time working with you two as a couple to get the most natural reactions possible. Basically, it's like a practice session for your wedding day! I can learn a lot about how the two of you interact during your engagement shoot. After all, on your wedding day, you're surrounded by your closest friends and family & then there's me! This type of shoot gives you the chance to get to know me & become comfortable in front of my camera. It allows me the chance to see how you interact as a couple so that I know how to get the best reactions from you. Many of my clients like to use the images from their engagement session for everything from canvas prints to slideshows to 'Save the Date' cards! "From the moment that Alana walked in, she had a way of calming me and adapting to the situation at hand, while being very flexible with our constantly updated timeline. She gave me one less thing to stress about, allowing me to fully trust in her..."
"What is a typical wedding day like?" I will try my hardest not to interrupt the flow of your day. Think of me as a "fly on the wall"! I don't work from a shot list because I photograph from my truest heart, which allows me to focus on even the smallest moments that make your day so beautiful. I realize that every wedding is unique & I work hard to capture the photos that reflect your special day in a very unique way. I often photograph with fixed lenses, which means that I am constantly moving. I like to seem & feel as present as I can [without getting 'in the way']. I also enjoy getting to know your wedding guests & I love laughing at all the little inside jokes. You may even see me tear up during vows, speeches & first dances. I truly love showing a couple the little things that they may have missed throughout the day, but I also like to show them the little things that they did see, but through my eyes. ***LOOKING FOR A FEW EXTRA 'POINTERS' TO HELP YOUR WEDDING DAY GO AS SMOOTH AS POSSIBLE? *** Click HERE to view my 'Easy Shoot Couples' Guide! "What does it mean to have a 'Print Release'?" Upon booking Alana Adetola Arts Photography for your wedding day, you will sign an Official Photo Release Form that will grant you the right to reproduce your images created by Alana Adetola Arts Photography, LLC. - for personal printing and Social Media sharing. Many photo processing labs will not make prints from a professional photographer without a copy of a signed photo release form. In addition to receiving your professionally edited, high-resolution images - digitally delivered via password protected online photo gallery for image downloading & print ordering, you will also receive a custom, personalized thank you package in the mail shortly after that - with those same images uploaded onto a customized USB, along with full rights to reproduce them. Your password protected online photo gallery will be hosted on my portfolio site anywhere from 6 months to one full year [or longer in some cases]. "What's your turnaround time like?" One of the things that I pride myself on as a photographer is working hard & efficiently to return your images so that you don't have to wait months & months to relive your special day! My current turnaround time is: 8 - 10 weeks during busy season [April-November]. 6 - 8 weeks during off-season [December-March]. "How do I go about ordering prints?" You may choose to order prints directly via your private online gallery. All prints ordered in this manner are printed by a local professional color lab. These print professionals were chosen because of their high-quality, extremely fast turn around time, and quality customer service. Another benefit to having the option of ordering through your online gallery is that anyone that you choose to give your password to can log in, and order their own prints! The best way to cherish these once in a lifetime memories is to preserve them. That's why I take pride in offering Cuztomized Photo Books, Wooden Print Boxes, Customized Photo Gift Baskets, and more! Visit the PRODUCTS section to learn of full offerings! "What will I get for my money?" As a client of Alana Adetola Arts Photography, you are paying for my complete expertise. I've spent years upon years learning my craft, investing in high-quality professional equipment and becoming a master of my skill. As a small business owner, the only way that I know how to conduct a successful business is by remaining steadfast in the value of my work & my product. Your investment will include: A FREE in-person consultation [optional] + unlimited e-mail correspondence. *One  minute engagement or 1-year anniversary session [optional]. A CUSTOM WEDDING DAY TIMELINE with professional photography by Alana Adetola + a second shooter. Professionally edited, high-resolution images - digitally delivered via online photo gallery for image proofing, downloading & print ordering. Print Release for personal printing and Social media sharing. A personalized thank you gift box including a customized USB. 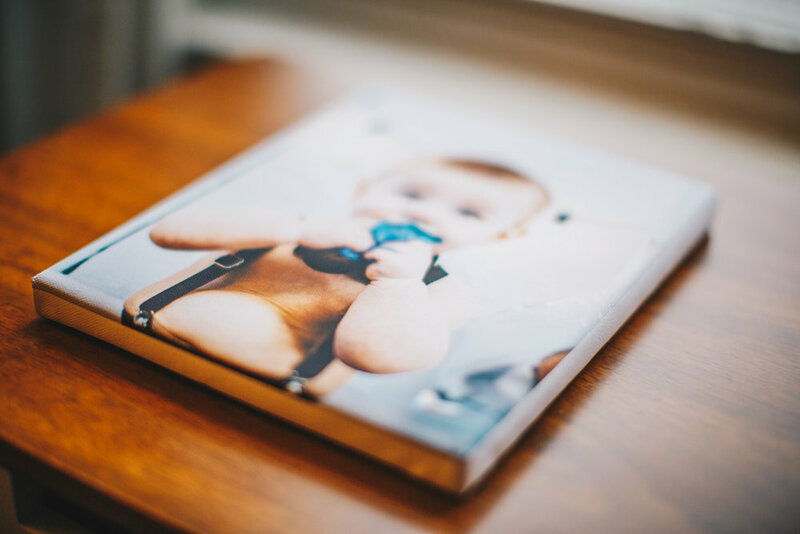 *A customized photo books and canvases & a studio credit value up to $250 to use towards CUSTOMIZED PHOTO PRODUCTS, fine-art prints, & future photo sessions! *applicable to certain packages. "Is it proper etiquette to tip?" While tipping is never expected, it is always greatly appreciated. "We're sold! What do we have to do to book you?" Excellent! Send me a message via my CONTACT page. From there, we'll start the conversation about setting up a FREE 30-minute in-person consultation. After that, I’ll send you some information about what to expect during your in-person consultationl Trust me...we'll have a good time discussing all the little details of your big day! A meeting with me is essential to ensure that I do my best to understand what it is that you're looking for in a wedding photographer. You are welcome to meet with me in my Buffalo-based home office, or, I'm happy to come to you. We can even meet at a local coffee shop if you prefer [my treat!]. I love good conversation & a nice hot cup of coffee! Once I mark your wedding date on my calendar, I will take a deposit of $500 in order to officially book your wedding date. This $500 deposit is applied towards the total cost of your wedding package. "Where can I see more of your work?" Please feel free to take a look through my ONLINE PORTFOLIO! "I have some other questions that I don't see answered here." From the time that you book with me until well after your wedding day - I am here to support you in your planning & answer any questions you may have. From scheduling the wedding day photography timeline - to location scouting. I love meeting up for coffee & conversation to discuss the final details of your wedding day. Please feel free to drop me a line anytime through my contact page. I am always happy to answer any questions you have & I am very much looking forward to working with you! "Where can I see and/or leave reviews of your services?" Aside from those listed here under my TESTIMONIALS tab, you can find reviews of my services on WEDDING WIRE, FACEBOOK, GOOGLE & YELP! "Who is AlanAdetolArts?" I am a professional artist & photographer. I try to keep my photo shoots casual - geared towards you & yours having fun together! To put it simply, I want to capture photos of you simply existing, but in the most natural way. As an artist, I want to get YOU right, the way you feel, the way you light up! “What should I wear?” Whatever you are most comfortable wearing is fine with me! Sometimes people will ask if certain clothing prints or patterns are not going to look the best in their photos, but really, you can wear whatever you want, just so long as you look like yourself. “Where are we going to take these pictures?” I definitely do my best work outdoors! I’ll consult with you after you contact me so that we can agree on a location that is the right fit for you and your family. I’ll shoot pretty much anywhere that I can find the best lighting. I really enjoy a nice, casual, and naturally lit outdoor scene. ***Looking for somewhere to shoot indoors? *** Buffalo offers a number of communal rental spaces that lend themselves to creatives of all kinds, especially photographers. These rental spaces serve as blank canvas’ that allow me to flex my photography skills, while allowing me to adapt to your specific photo vision. These type of spaces can be booked as is or, depending on the type of shoot, we can work together to add-on styling options, allowing us to curate a personalized experience just for you! "I love it all, Alana! How can I contact you & what are your prices?" That's what I like to hear! Please visit my CONTACT page and fill out the appropriate questionnaire. From there, we'll book your FREE 30-minute in-person consultation.During that time we can discuss the details of your shoot as well as package options. A meeting with me is essential to ensure that I do my best to understand what it is you're looking to get out of our time spent together. You are welcome to meet with me in my Buffalo-based home office, or, I'm happy to come to you. We can even meet at a local coffee shop if you prefer [my treat!] I love good conversation & a nice hot cup of coffee! If you decide that we're a 'match made in heaven' then we'll set a photo session date [along with a rain date if the shoot location is outdoors] & I will take a deposit of $100 in order to officially book your selected date. The $100 deposit is applied towards the total cost of your shoot. "What will I get for my money?" A FREE unlimited e-mail correspondence + an in-person consultation [optional]. Photography by Alana Adetola with multiple on-location options, poses & outfit changes. Professionally edited, high-resolution images - digitally delivered via online photo gallery for image downloading & print ordering [additional files may be purchase]. Print Release for personal printing and Social media sharing. Depending on the package - a personalized thank you gift box including a customized USB & a studio credit value to use towards customized photo albums, fine-art prints, & future photo sessions! "How long after the shoot will I receive my photographs?" One of the things that I pride myself on as a photographer is working hard & efficiently to return your images. My current turnaround time is: 1 - 2 weeks. "How do I go about ordering prints?" You can choose to order prints directly through your online portfolio. All prints ordered in this manner are printed by a professional color lab. These print professionals were chosen because of their high-quality, extremely fast turn around time, and quality customer service. Another benefit to having the option of ordering through your online gallery is that anyone that you choose to give your password to can log in, and order their own prints! The best way to cherish these once in a lifetime memories is to preserve them. That's why I take pride in offering customized Photo Books, Wooden Print Boxes, Customized Photo Gift Baskets, and more! Visit the PRODUCTS section to learn of full offerings! What if I’m not happy with my images? If for any reason - I do not capture the images you were hoping for, please speak up! I am always happy to schedule a reshoot - but let's be sure that we talk about "what went wrong", before we do so. My goal is that you are overjoyed with my work! There will be a small reshoot fee that may apply depending on the the circumstances. “I live in Orchard Park, will you come shoot photos of my family & I out here?" My office is located in Buffalo, N.Y., but I am willing to travel up to 60-miles roundtrip by car away from Buffalo, New York. *Unlimited travel locations within 40-miles roundtrip from Buffalo, NY. Additional travel fees apply to any location destination greater than 40-miles roundtrip outside of Buffalo, N.Y.
"Where can I see and/or leave reviews of your services?" Aside from those listed here under my TESTIMONIALS tab, you can find reviews of my services on FACEBOOK, GOOGLE & YELP!